Ubisoft has been having a number of problems with the recent release of Operation Red Crow DLC/update. Operation Red Crow, the latest content drop for Rainbow Six Siege, came out last week on all platforms. Since then, there have been an increasing number of reports from PS4 players that selecting Hibana, one of the two new operators, would cause mid-round freezes. This issue would sometimes affect certain players and not others, leading to some exploiting the issue for an advantage. A few players attributed this to using Hibana’s gadget, but the cause wasn’t always clear. To rectify this, Ubisoft removed the operator from the list of available options, as a temporary workaround. Unfortunately, doing that caused another bug that prevented players from progressing past the end of Season rewards screen. This issue would crash the game every time for these players, and was much worse than the previous problem limited to Hibana. So, Ubisoft re-added Hibana, even though it’s still bugged. According to the company, the crashing issue everyone was experiencing was more pressing than the mid-round freeze some reported with Hibana. 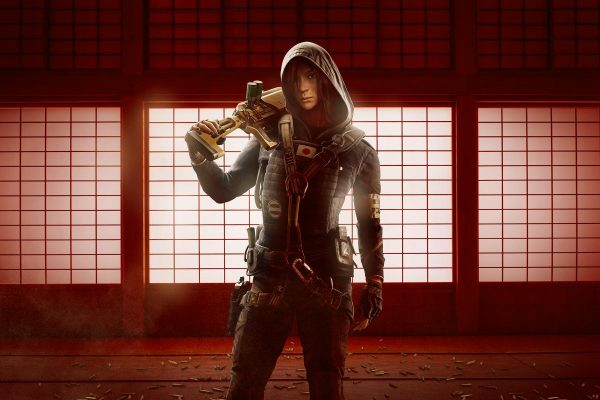 At the time of writing, Hibana remains bugged, and Ubisoft said it’s working on a permanent fix. For now, you can play the game as normal, just don’t select this particular operator.